Blog author, Ken Melton, is a retired U.S. Marine Corps Staff Sergeant with 12 years of service as a Mass Communicator. He joined the USDA family in March 2016 and transitioned into a career as a public affairs specialist in the Agricultural Marketing Service. A rising sun chases away the darkness across the landscape while the hard working men and women start another day to accomplish the tasks that keep America strong. Whether on the battlefield or in the corn field, these dedicated individuals approach life and work in similar ways. That’s why USDA is committed to hiring and retaining military veterans and active military personnel. The notion of returning veterans working in agriculture might conjure up images of rugged men and women toiling the land or raising livestock in a rustic setting. But not all service members who make their living in agriculture are on the agricultural front lines working the land. Many use the skills they developed in the military to continue serving their country by supporting those in the heartland who bring food to American families. I count myself among those who have transitioned from a career in the Marines (Semper Fi!) to a new career at AMS. Our leadership recognized that the skills gained as part of my military service transfers to an agricultural career for a number of reasons. For example, veterans develop skills like decisiveness, flexibility, and a problem-solving work ethic; skills that are perfected outside the classroom. In the Marines we call that “Semper Gumby,” named after Gumby, the flexible green character that you may remember from childhood. “Semper Gumby” captures the idea that no matter how prepared we are, the reality is that every plan is subject to the whims of nature and available resources. Since basic training or boot camp, service members are taught that we thrive and suffer together, and that attitude carries us through civilian life, too. Many vets understand what it means to be a good leader because we were all at one time a good follower. We understand the burden and joy of leadership. We know that some decisions are beyond our control, but we do not let it defeat us. We don't just want to show up every day, we want to show up and grow ourselves and others, and advance the department’s mission every day. Sure, we may have hung up our uniforms and donned a tie, lab coat, or cowboy hat, but we still want to help our country by ensuring that farmers and ranchers receive the best customer service possible. I am proud to continue my service to the country as a member of the USDA team. 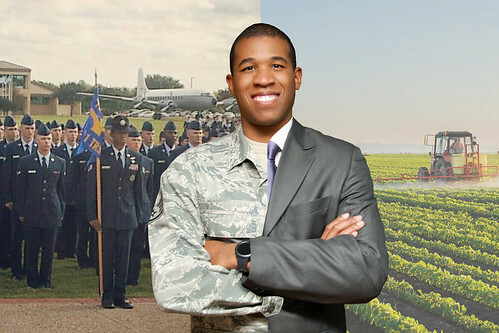 Visit USDA’s new Veterans website, which serves as a one-stop navigator for Veterans looking to learn more about Employment, Education, and Entrepreneurship on or beyond the farm. 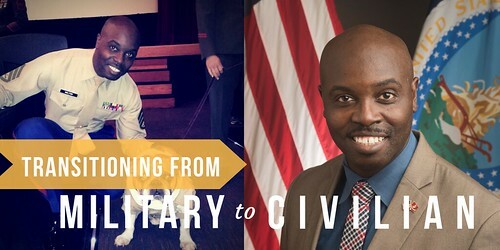 USDA also has information online about the transition from military service to a career as a farmer or rancher and jobs opportunities across the country with AMS, https://www.ams.usda.gov/about-ams/careers. Follow #Vetproud on @USDA_AMS on Twitter and Instagram. It's .5 acre and locals would have access to options outside of the box store 3rd party poison to cure a common cold and EVERYONE needs good eggs. We all know the eggs from china and or bottled corn syrup is worse than rezoning a half acre or 1 to allot for honeybee hives and chickens for eggs only. Something needs to be adjusted. I have a few parcels that appear perfect but being the farmers hand and small-business owner rebounding after complete loss of DR4277 2016 "The Great Flood" (aka no heads up, just flooded-lost all the bees. Then bees can't be covered because it's not technical livestock but SBA is not allowed to write loans on Honeybee businesses only USDA can do that. Oh! Wait, USDA won't do that because SBA did not.... And the cycle continues. To my point, I've spent about 97k building back stronger; more efficient which has allowed for us to expand from Louisiana (where dem' folks know good eggs and honey but just don't believe they will flood again or when they do no insurance for you is true) to here in Florida where it's a pretty great state but a girl can't raise some chickens and bees without help from you. I just need a half acre plot like henderson park or deerlake park to put mitigated platforms that can be moved for pollination services or to evacuate due to Natural Disaster. The stands are Above ABFE and would be happy to send additional information per request. I run a small business AA Live Bee Removal and Love Dat Honey; with a staff of 5 handling honeybee infestations and educational services. Licensed and insured with over 10 yrs experience with proper honeybee relocation services affecting structural and commercial spaces. What a great story! Thank you and all the other USDA veterans for your continued service!